In a digital age, incorporating visual elements in storytelling has a remarkable effect on people. Last fall seven Gateway artists explored a new media means of communication at Brookline Interactive Group (BIG) community media arts center, working to visualize and share stories from their lives as students of a Digital Storytelling course, made possible through donations to enhance services for individuals with Autism spectrum disorders. Gateway Arts, a non-profit studio arts center for adults with disabilities, provides a space for artists to work and build their careers, not only visual artists, but increasingly writers as well. Gateway has developed several writing groups to assist writers in developing, drafting, and publishing work. As part of the program’s development, writers have also explored storytelling and communication through other mixed media methods, such as stop-motion animation. Together, one of Gateway’s writing groups attended the Digital Storytelling course at BIG. Facilitators Sarah Kershaw and Nicole Veilleux oversaw the commute out into the community to reach BIG. Through rain, cold, and snow, artists showed their dedication and interest by walking together as a group each week. Artist Katherine Bussell was often at the head of the group with her keen eye and concern for safety as they took to the streets. 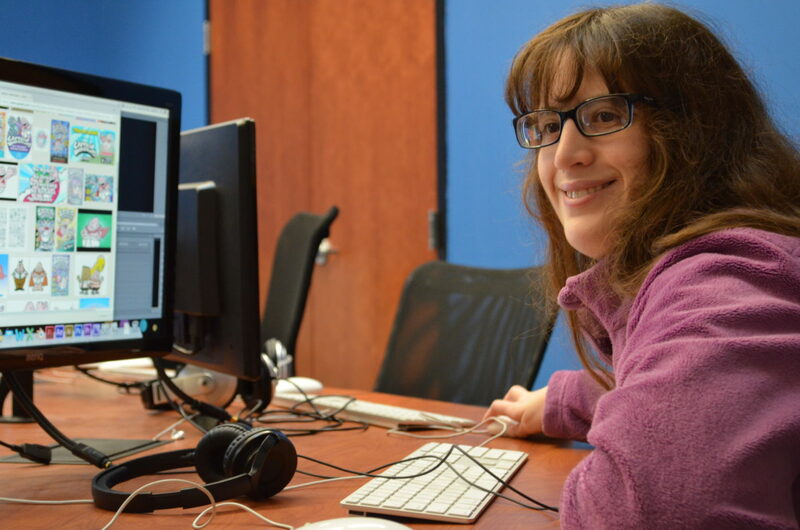 In just six short classes, artists participated in group brainstorming, wrote and recorded their stories, and learned how to compile images, overlay audio in Adobe Premiere Pro, and refine their stories. The amount each artist learned and accomplished is notable, and the professional equipment they had access to allowed them to see and practice a process professionals in the digital arts field use in their careers. 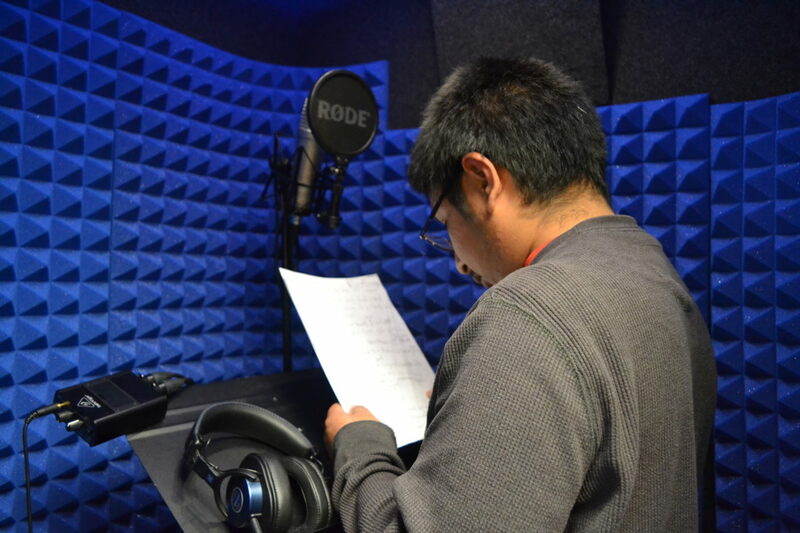 Igor Reyes could be seen socializing with BIG staff through improvisation of voices for his characters, while Daniel Kasinsky was excited to spend time in the blue sound booth! The experience drew out the natural interests, personalities, and stories of the artists involved, with subjects ranging from cartoons to contemporary art, from ballet to bipedal dinosaurs. The process presented challenges; artist Colleen McFarland grappled extensively with the vulnerability of sharing her identity as an autistic young woman in order to keep her story honest and authentic. Each challenge, like when Michael Natale built up confidence and stepped out of his comfort zone to listen to his own voice recorded, made creating the stories worthwhile and the finished products all the more meaningful for their creators and audiences alike. This collaboration project with Brookline Interactive Group made an impact, creating a community of connection through storytelling that will continue to grow as Gateway expands its own digital avenues. We invite you to experience each artist’s story. View the artists’ stories by following the links below! | This program was made possible by funds raised to enhance Autism services at Gateway Arts.